This Christmas, give to your friends and family the unique gift of a cargo ship travel. 2/ We send you the gift voucher by mail and/or email. 3/ The beneficiary then just has to contact us and book the route of his or her choice. If the fare is higher than the gift voucher amount, the beneficiary will just pay the difference. 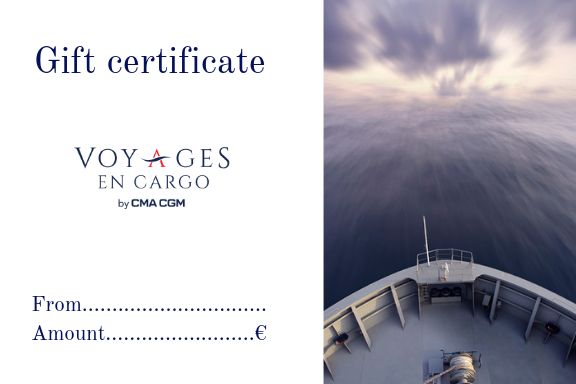 Enjoy your trip and Merry Christmas with Voyages en Cargo by CMA CGM.